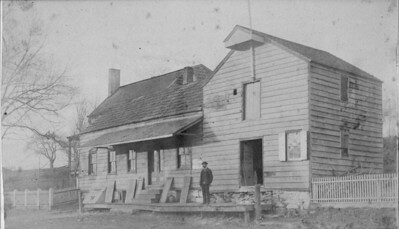 Westlake's General Store on what is now West Chestnut St. taken down in the 1890's. 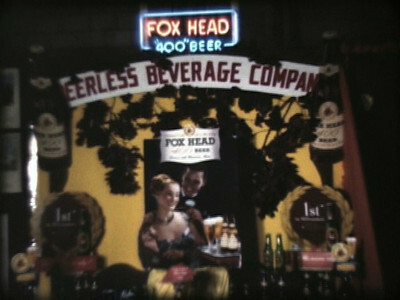 We assume that that is the proprietor Mr. Frank Westlake himself standing out in front. The house next to /behind still stands at 875 West Chestnut St. and can be seen in a subsequent photo. This engraving is from an 1860's farm map. 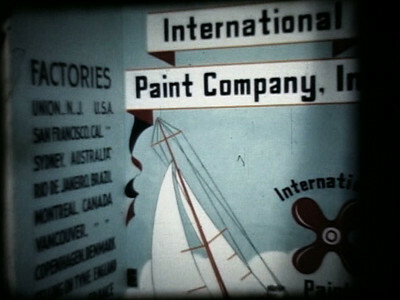 James Wade owned the property at that time. 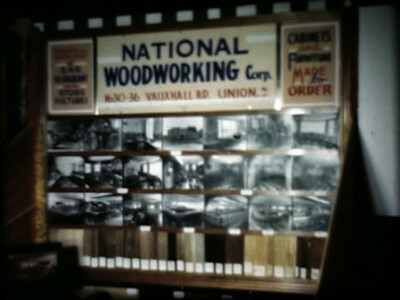 On the right is what would become Westlake's Store. 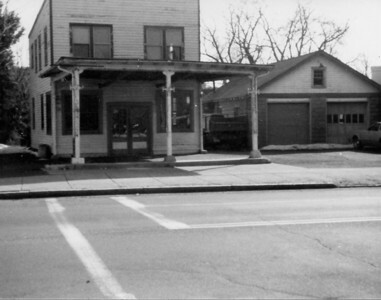 On the left is a house that still stands at 875 W Chestnut St.
875 West Chestnut St. 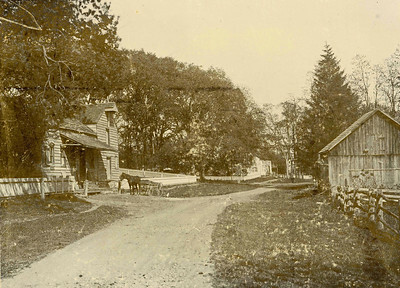 This house is pictured just next to Westlake's Store in an 1890's photo. 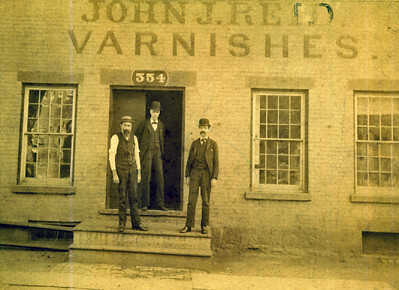 John J. Reid Varnishes. 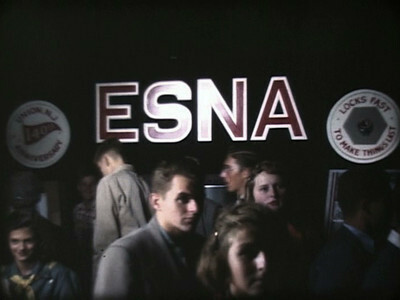 Mr. Bonnel on the left. Mr. 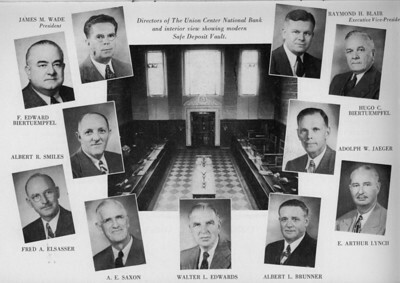 Bond on the right. 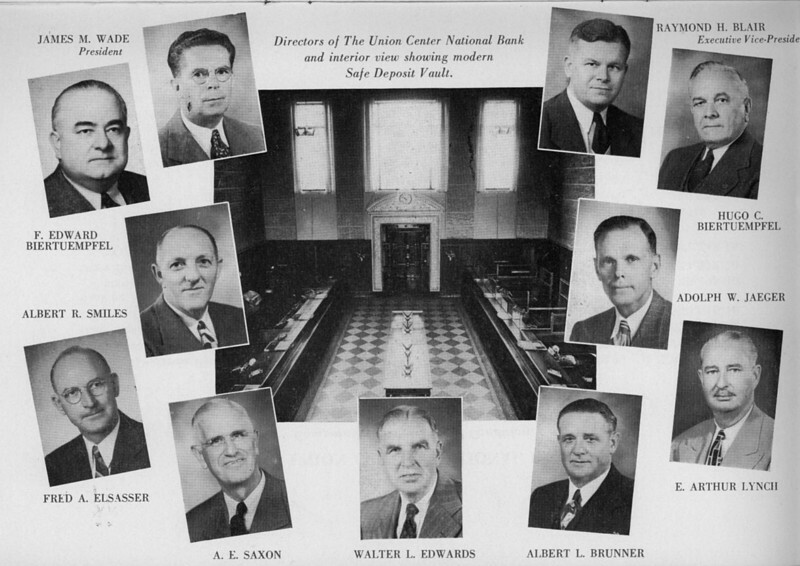 We assume Mr. Reid is in the middle. 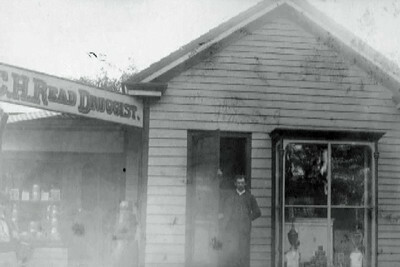 Westlake's General Store on what is now West Chestnut St. about 1890. 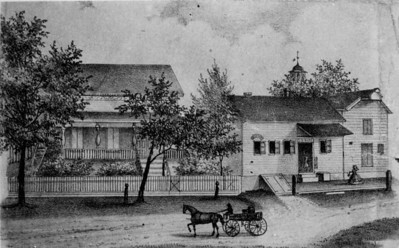 The building that housed The Olde Meeker Inn about 1925. 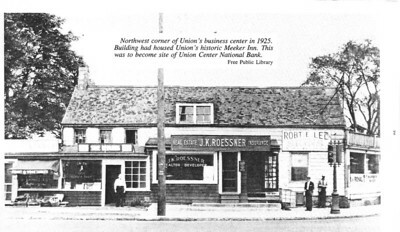 The Meeker Inn was divided in order to accommodate a few store front businesses including JK Roessner Real Estate and Insurance, Robert E. Lee Signs and a food market. 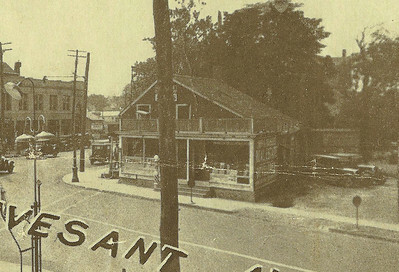 A wedge shaped addition was added on the right side to match the angle of Stuyvesant Ave. and contained a barber shop. 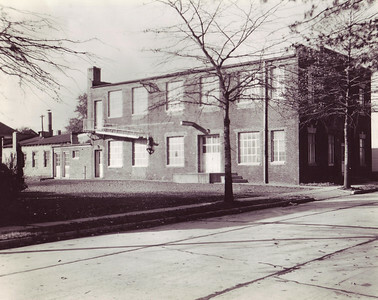 Side view of the Old Meeker Inn building in 1929. The photo shows the side of the building facing Stuyvesant ave. looking west on Morris ave. 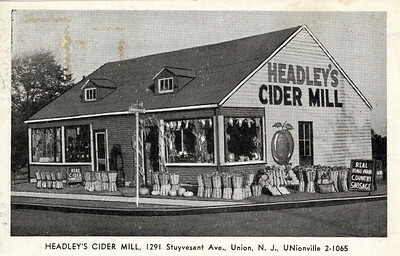 This important photo from the Self Master Colony auction flyer solves a mystery regarding the exact location of the building. The porch and deck were added at some point. 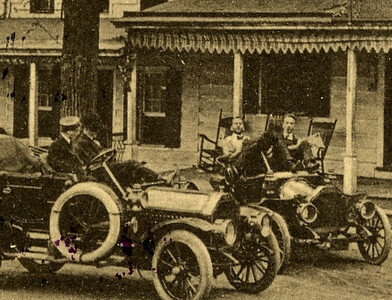 Men in their cars in front of the Meeker Inn. 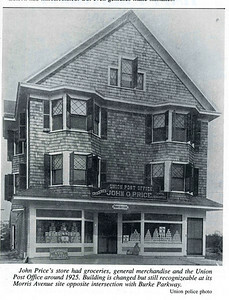 This building was Price's General Store and Post Office, originally located on the North east corner of Morris Ave. and Stuyvesant Ave. 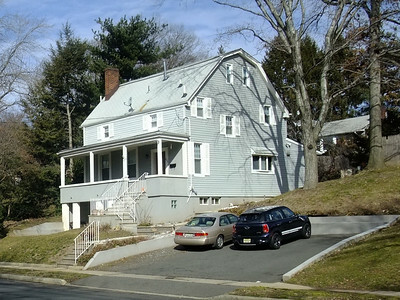 The peaked roof was taken off and the building was moved to the foot of Burke Parkway in the 1920's. 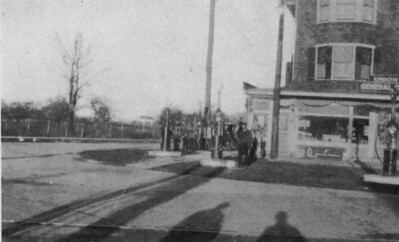 About 1919 this photo shows Harry Smith next to the gas pump in front of Price's Store and Post Office on Morris ave. looking north onto Stuyvesant Ave. 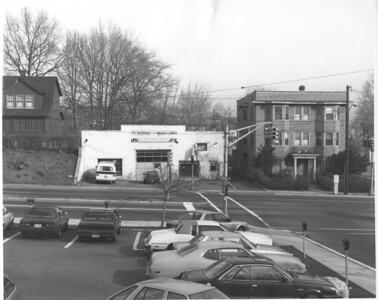 The building on the right was Price's General Store originally located on the North east corner of Morris Ave. and Stuyvesant Ave. The peaked roof was taken off and the building was moved to the foot of Burke Parkway in the 1920's and turned into apartments. 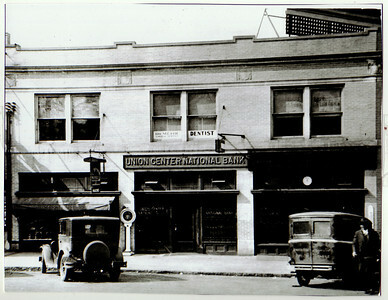 The original Union Center National Bank around 1923. 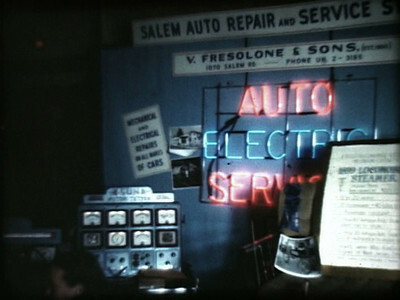 Charlie Prosen's Service Station on Stuyvesant at the corner of Vauxhall Rd. 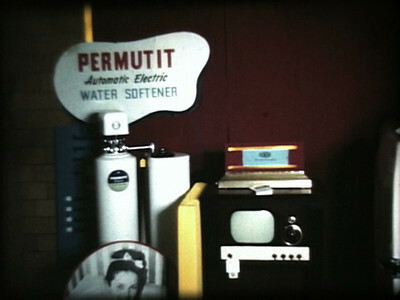 Current site of Magic Fountain. 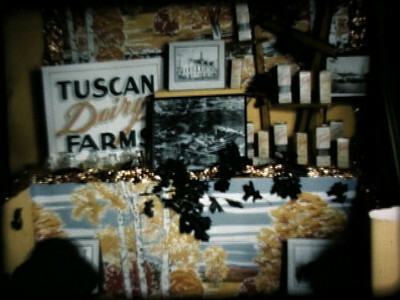 Many local businesses exhibited at a special trade show to celebrate Union's 140th anniversary.